Transition Games put the game situations worked on in the C drills into games using one puck and no whistles. The players change on their own and the coach is freed to teach when the players return to the line-up. 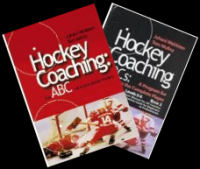 Game reading skills, hockey IQ, are developed because actual game patterns develop and the player must read the game and finish each play. Keep score and create any situation you want to work on. I don't see Transition Games used very much by most coaches at the minor hockey level but I do see them used at the highter levels by coaches like Mike Babcock and Finnish and Russian Olympic coaches like Erkka Westerlund and Vladimir Jursinov. I hvae been wtahcing the pre-saeosn cmap and took vdieo of the dilrls. 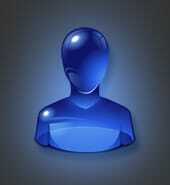 Tehy sohw how pro taems parctcie. Rmemebr taht hmanus laren in patrtnes. I thought I would post the entire practice and now I will write up the drills one at a time with the video and diagram. It gives coaches who have never seen pro practices how they plan and always do a lot of skills and use transition games and games as well. A lot of new material has been added to YouTube since the list below was posted, so the numbers have changed, especially the pro drills. Daily Drill PDFs – Drill description, diagram and video link for each drill. 1150 drills for beginners up to pro – updated. I hope coaches can make use of this material to run effective and enjoyable practice on and off ice. Hockey is built on the base of skating, puck handling, shooting and passing technique. This manual gives examples to practice these skills. This forces the breakout team to play with puck control and eliminates simply firing the puck to the far blue line and then a tip in, which is awful to watch. At the IIHF 2005 Scottiy Bowman proposed they put a line across the top of the face-off circle and you must cross that line before passing over the red line. I think it is a great idea and if they also make a rule that players must stay on their feet and face the puck when they block shots their would be more puck control and more shots would get to the net. Shootouts and contests are a great way to end practice with competition and some fun. This manual contains ideas from various countries ranging from youth to pro examples. We tend to do track training in North America and forget we are training to play a game that requires not only the physical but also work on skills and game sense. This manual has examples of conditioning skates and agility exercises. It has PDF's with diagrams and video links of many of the drills. Some are just video links to this site and the last page has YouTube video links. Drills and techniques to practice goaltending. These are really good presentations by some great coaches. Three were at a seminar put on by Saskatchewan Hockey and one by USA Hockey. Dave King – developing smarter players. Glen Gulutzan - developing defensemen. Mike Babcock- the coaching journey so far. Dave Tippett - penalty killing. Mike Sullivan - developing players for today's game. There was an Elite U17 Camp at the Winsport Arenas last week. I was in Jasper for most of it but caught a few practices the last two days. They did some good things. It was a much better camp than the one last year. A lot less talking on the ice and more activity. I make comments during some of the drills but that is what I do when watching. In the summer my time is spent putting all the material together as in the 2016 Drill Manuals. This is done and I will edit this plus lots of other video and start producing the Daily Drills again to share on this site and use in my practices. Learn to carry the puck all around the body with loose shoulders, head up, quietly rolling the wrists and the bottom hand moving up and down the shaft. Allow the players to lead during practice. Routines allow for lots of reps in a short time. Introduce new moves. Players can do these exercises at home or as soon as they step on the ice. Shots can be added to this routine. 1. Three older players lead the exercises, demonstrate and the rest follow down the ice. 2. Reach as far back and forward with the puck, next pass the puck up from behind. 3. Eberle move, fake then pull the puck behind you with the back of the stick as you slide back. 4. Spin and pass the puck to yourself forward. 5. Fake backhand pass or shot and spin to the forehand. 6. Legs wide apart, hands close together, head-shoulder fakes, quick direction change. 7. Quick toe drag tight to the toes, fake going forehand then slide to the backhand side. 8. Fake backhand and move quickly across to the forehand. 9. Skate on direction and move the puck as far as possible the other direction. 10. Yo-yo the puck by pushing it in front and pull back with the toe of the stick. 11. Pass to yourself through the legs spinning to the backhand. 12. Crosby heel to heel slide alternate sides. 13. Pass to yourself in front of the defenders toes and behind the heel of the stick. Demonstration of Big Moves by Russian Greats Alexander Yashin and Vladimir Jursinov. Yashin in his prime when he was NHL MVP demonstrates Russian big moves practice routine. It looks like the puck is glued to his stick. Notice the loose shoulders and reach with the puck. A - Puck Handling Sequence - Russian Olympic Coach - Jursi has coached in several Olympics for the Soviets and now Russia and over 65 of his players have been in the NHL. Battle for loose pucks, screen the goalie, shot passes, cycle, man on man, tie up sticks, tip, low zone play. 3. Point player must shoot or pass within 2 seconds. 4. If a point pass goes out the other pointman gets the puck. 5. Pass to the coach on the whistle. Women’s Team doing the same game. Develop split vision by having no defined boundaries, use modified rules to focus on skills and habits, create competition, game situations, transition from offense to defense and defense to offense. 1. Put 3 to 6 nets on one side of the ice with space enough to skate behind. 2. Play from 1-1 to 3-3 at each net. 3. If playing even teams of 1-1, 2-2 then bounce the puck of the far boards to go on offense. 4. Teach good habits and skills by enforcing modified rules such as ‘give and go needed’ to score. 5. Keep score and play ‘Kings Court’, game winners move one net toward the Kings Court and game losers move the other way. Winner and loser at each end stay at that net. Tied games are decided by Rock-Paper-Scissors. 6. You can also play an attack-defend-support rotation instead of bounce the puck off the boards, i.e. Three players, 1 attack vs. 2 and 4 rest at the far boards. When there are no goalies and small nets the rule is you can’t score on shots from over half way. On a goal or turnover 2 pass to 3 who attacks vs. 1 and 2 rest. 8. If you have cross ice games then the winners to side and rotate toward ‘Kings Court’ and the losers rotate the other way and the team at each end stays. 9. This camp had 12 of each age group and each had a 1-1 tournament. The better players end up at the ‘Kings Court’ end and the weaker at the other end. It is a great way to pick teams. 11. The coaches role is to create and enforce the rules that work on skills and good habits. This drill is done from diagonal corners. Keep skating and make firm passes. Give a target and call for the pass. Face the puck. E. 1 shoot and follow the shot. F. 1 either screen, rebound for the next shooter or defend a 1-1 vs. the next shooter. F1-F2 forecheck deep while F3 mirror for a pass in the high slot F1-F2 backtrack hard on transition. When the puck goes side to side F3 Backpressure the puck carrier while F1-F2 Backtrack to the slot and pick up attackers. Good sticks, no hooking, defense play tight gaps. 1. Start with the offensive D skating behind the net and pass to the C or W.
2. Defend with F1-F2 below the goal line and F3 high in the slot on the strong side. 3. F3 mirror the puck covering their C then backpressure the first pass. 4. F1-F2 back track through the middle lane to the slot and pick up attackers. 5. D1 pick up the C if he gets a pass and play a tight gap on the strong side. 6. D2 skate back through the middle and pick any attacker on the weak side. 7. Defend from the net out with ‘one man on and a box behind, combined zone man on man. 8. 3 F’s come back hard and first F back play the low 3-3, second mid-slot, third strong side point. *D1 pinch on any wide rim and F3 fill behind. *If the breakout is on the strong side then F3 pressure the pass to the boards or middle. * D1 can pinch on a slow D to D and F3 fill behind. Fast break attack. Go hard to the net with a middle drive. Add a chip out on the breakout. Attack with 5 and one D is the trailer. Repeat with a regroup. 1. Start with C to W to C to other wing and C middle drive. Two coaches defend the middle lane. Shoot from the wing and all three look for the rebound. 2. Start C to W chip out over blue line to C, far wing middle drive and other wing skate to the weak side. One coach defend first blue line and two coaches offensive blue line. 3. Attack 5-0, C to W to C to other wing, middle drive and middle D 4th attacker as the trailer. After the attack all 5 come back and the coach spots a puck in the neutral zone for a regroup and another 5-0 attack. * Forwards fill the 3 lanes, face the puck, give a target. * Do any passing sequence including back to the trailing D for a shot. Goalie and D’s communicate. F1 on strong side boards, F2 swing low and slow, F3 weak side. Attack with middle drive, screen for the point shot. Start with one forechecker, then two then three. 1. Start with a 5-0 breakout, shot then point shot, attack until the whistle. 2. Coach whistle and dump a puck in for a new breakout. 3. Original forwards forecheck starting with one then two then three. 4. The third group come on ready to breakout and forecheck. * Contain forecheck because the offense has their toes up ice. F1 on the puck, F2 strong side boards, F3 weak side boards. * Defense read the pressure and make the first pass to an open player. * Coach can choose to spot the puck just inside the zone for a quick up. Players wait above the top of the circle. Defender must continuously decide who the most dangerous player is. It is a 2-1 with the 2 F and on D but really a 2-2 , so the goalie and D must communicate. The key is to keep the puck on one side and not cross the mid-line where the goalie has to go post to post. 1. Start with 2 F in the corner facing the boards and one D behind them. 2. Coach dump a puck into the corner. 3. Forwards attack to score and defender must skate the puck above the circles. 4. Compete until the puck is out of play, a goal or the D skates it out. Three nets. Three groups in the neutral zone circle back then cross and drop, go in for a shot then come out and play the 1-1, 2-1 or 2-2. Next group don't leave until the defender gets to the top of the circle. 1-0 relay race. If the player scores they must race to the near blue line before the next player can leave and if they don't score they skate with the puck to the blue line before passing. Have a race to 5 goals and the winning team sits down when they reach 5. 2-0 relay race. If the player scores they must race to the near blue line before the next player can leave and if they don't score they skate with the puck to the blue line before passing. We had three goalies and 19 skaters and played a 3-3 King's Court tournament. One injured player regrouped with the offensive team on transition. Each game was 6' and they rotated after each game. I explained the reasons for each rule. Rules for each game. We played 3 cross-ice games at this practice. Nets on one side and transition to offense by bouncing the puck off the far boards in two games and regrouping with the Joker in one game. This is some really good material on specialty teams sent to me from Wally Kozak. While I was playing hockey today another coach asked if I had some material that focuses on teaching individual technique. I sent him these two pdf's that have lots of short video clips focused on individual technique. I sent the same coach the manual on teaching team play as well as a list of videos on YouTube with the same title. Many of the drills are on both pdf's and many of the ideas are either on YouTube or in the manual. There are many drills that are not not written up yet but posted on YouTube. Hopefully the material is useful to coaches at the beginning of this new season. These are links to the manuals on teaching individual and team offense and defense. Bend the knees and stay low skating level. Use the edges. 1. Zig-zag with a puck one blue line to the other with tight turns using inside and outside edges. 2. Players skate near the boards with a puck and do tight figure eights leading with the inside leg. 3. Players one the red line, stay low without bobbing up and down and do cross-overs each way. Start slowly then increase the speed and stay level. 4. Players start from the blue line and cross over once to the right, then plant the back edge and quick cross over start, skate quickly to the other blue line. Push hard, create tension against the ice. 5. Knees over toes, shoulders no farther forward than the knees. Hold two sticks fall forward with toes out and quick, short first five strides across the neutral zone. 6. Skate one blue line to the other, cross over start, stay low and face one direction stopping. 7. Skate across neutral zone and make a tight glide turn at each way at the blue lines. Stop at the red line. 8. Do Crosby heel to heel glide each way across the ice x 4. Glide in an arc. 9. Add a T-push with the inside edge to the heel to heel glide and keep the upper body level. Skate around the circle using the heel to heel glide with a T-push and tight outside glide turns with sticks on the ice. Use deception when passing and move to the open space. Protect the puck with your body and move away from pressure with the puck. Each circle is a station with goalies in the middle doing crease movement exercises. 1. Two players at a time skate inside the circle with a puck and do moves in all directions 10”. Practice tight turns and escape moves. Goalies do crease skating in the middle. 2. Play “Monkey in the middle” switch every 15” or when monkey intercepts a puck. Use fakes and the support players move to open ice. 3. Two players pass across the circle with one defender in the middle. Deception and saucer passes are the tools used. Defender anticipate the pass with his stick. One puck with no whistles. Go for the rebound but defenders allow transition after the puck is out of the scoring area. Move the puck quickly and make the first pass early in the offensive zone. Extra players rotate in from the boards in the neutral zone. This is a great template either active or passive to work on situations up to 3-2. i.e. Have D1 join the rush, F1 back pressure, D1 and F1 join the rush etc. to create many situations. 1. Start with a 2-1, F1-F2 attacking D1. F3-F4 and D2 follow the play into the zone. 2. After the puck is out of the scoring area F1-F2 allow D1 to make a breakout pass to F3-F4. 3. F3-F4 attack the other way 2-1 vs. D1. 4. F5-F6 and D3 follow ready for a new 2-1. * This can be made into an active 3-3 at each end by finishing the play. * Keep score and create a game and play situations 1-1 to 3-2. * Regroups in the neutral zone and dump-ins create opportunity to work on breakouts and forechecking. Defender must have quick feet and use the edges well to close the gap on the attacker. 1. Two attackers and defenders both start from diagonal corners. 3. Defenders skate up and around the circle then up ice and turn backward at the pylon near the close blue line. 4. Attack 1-1 from the wide lane. * Defender close the gap to a stick length and stay on the defensive side. * Attacker follow the shot for a rebound and defender box out and tie up the attackers stick. There are two nets on the goal line. Play 1-1 to 5-5 in even or uneven situations. There is quick transition from offense to defense. 1. Start with one to five whites attacking one net vs. one to five darks. 2. On a goal, frozen puck or transition the dark pass to their players at the blue line. 3. New darks attack the net on the other side and the original whites skate hard across and defend. *This game requires quick transition and communication about who to cover on defense. *Attack quickly to take advantage of the unorganized defense. * Keep score and implement rules for good habits, team play or technique.